We are aware of the daily summary issues, and expect to have a resolution soon. Could you possibly tell me when are your staff going to reply to emails? We're a dedicated but small team here at WU. We work hard to monitor message boards, social media pages, and our customer support channels -- including emails. We can't always get a reply to everyone; if we did, we'd be answering emails 24/7 and we couldn't work hard on keeping the network up and running, upgrading technology, solving problems, and developing new features. PM me your email address and I can take a look at our support database to grab your specific ticket. Thanks for your understanding of our challenges as we work to provide a great network for all PWS out there! I never created a support ticket as that never worked in the past. Does that work now? Thought I'd better join the community since I am getting a PWS tomorrow. The closest ones to my location have been very iffy in providing data to Weather Underground. I need a WU station to provide my local weather conditions for my PVOutput.org solar generation monitoring. Hi my station IKILKENN5 was out of service for a while as the temperature sensor was faulty so I was offline. I now have it fixes and uploading good data, when can I expect it to be online again? Ever since The Weather Channel has been involved with WU, it has sucked. I have two stations that WU is ingesting data from but something about their webpage is not showing the live data, just the graphs. I have sent tickets in, sent emails, made calls (to disconnected numbers) and called them out on social media. No response. I am actively looking into alternatives to WU, becuase they clearly don’t care about the PWS owners. 2018-07-06 17:22:37 ERROR 403: Forbidden. I have contacted GoDaddy and they confirm they are blocking as part of their shared hosting security. My option with them is private server, and I don't think I will go there! It appears that the FTP method is better than the URL method. I am already using the camera's FTP to upload the image to http://www.komokaweather.com/weather/wu/image_wu.jpg and that is the URL used by the other webcam sites and had also worked for WU until the webcam problems arose. I will look how I can do another FTP to WU. Any suggestions? My last URL method has been denied. Any suggestion how or what I need to get an image FTP to webcam.wunderground.com? I have been searching but unsuccessful. Please send me a PM with your email address and I'll get you squared away. Thanks. I'll talk it through with our dev and product teams. Users who are having Issues with the data showing up in your graph, but not in the current conditions module. I think we know what is happening, and will implement a fix by the end of today. We tried to separate out observations that are current, vs ones that are being sent to fill in gaps in history. It looks like we tuned the history window a little too aggressively (anything older than 2 mins is considered not current) we didn't take into account that 1) peoples clocks aren't always right and 2) that some stations go through a third party relay, and might take 2 minutes to get to us. "Note: There may be up to a 15-minute delay from the time the device connects to HOBOlink until the data appears in Weather Underground. In addition, the Weather Underground data feed [from HOBOlink] will only send data at a minimum ten minute interval. If the logging rate on the station is faster than ten minutes, a data point will only be sent to Weather Underground if it is at least ten minutes after the last data point was sent. For example, if the logging interval is 1 minute and the first data point is sent to Weather Underground at 10:03, then the next data point will be sent at 10:13 even though data is logged every minute between 10:03 and 10:13." So it sounds like we might be presently operating right on the edge with the present 15 minute allowable delay. I am also going to try to get the HOBO folks to permit a 5 minute feed interval instead of their present minimum interval of 10 minutes. I'm glad the WU updates are working now, but they are not working well for HOBOlink users, and delays of up to an hour or more are really unacceptable for my particular use, with a primary mission of providing public availability of present local weather conditions. 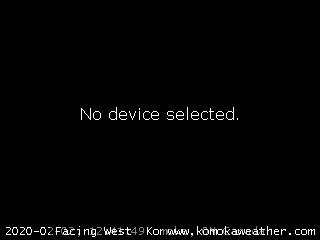 My station KCOBLACK2 had some issues with the anemometer. They were fixed on Saturday the 3rd of August 2018. When can I expect to see my data show up on the published web site, I know it is getting to WU because I can see in on my dashboard. Come on it is not rocket science to again show my data. Thanks for looking into the issue, the console clock had gotten behind, the reporting computer is set by NIST in Boulder so I did not think that is was off. But checking the Davis Vantage Pro 2 console showed that it was not correct. The app has been saying "Please try again later" all day here. It's been happening on and off for some months now, but this behaviour is becoming more frequent - so whatever is broken is getting worse. Please can someone at WU advise when this will be resolved? Surely IBM have the resources and skill set to crack this!! When you are looking at the page with the list of nearby stations, isn't "heat index" and "windchill" reversed? My monthly summary data is showing a low temperature of "0" degrees F on random days the past few weeks (see screenshot below). I have a Davis Vantage Vue and upload to WU using the Weatherlink software via USB. A check of my data does not show any "O" degree readings. Anyone else experiencing this or have an explanation? Thanks for any help or insight. It appears to be more than just temperature. On August 14, 2018, at 9:40 AM, all of your data drops to zero. Are you also uploading anywhere else, like CWOP that you can compare? If your local data was OK at this time, then something happened with the upload apparently. Just wondering why my station doesn't show same recordings as it shows on website. The Ambient Weather WS-1001-Wifi reads 35.40 inches precipitation of 2018 and website shows on custom Jan 1st until today Aug 15th reads 31.56 inches. That is because WU has been unreliable this year (more so in the earlier part of the year). So they have lost or actually never received some of your data. This is an old issue that has never been fixed despite repeated emails to WU and a previous post here. On the Web forecast page there is a section called "Today's Extremes" - if you look at this data for anywhere in Europe (and maybe anywhere outside the US) you always get the data for the same day: 2017/01/25 (you see this date in the links to the reporting stations). Apparently it is -8°C in Rodez, a 100 km from me, where it is midsummer and currently 17°C! Hopefully we can finally get this fixed please? I have searched this thread with no luck, Is there a way to register a new webcam at the moment? The registration page just fails. I've tried 3 browsers on 2 computers, everytime I submit it the page just refreshes. Yesterday I was about to post that I had had no issues with the WU intake of data pushed from HOBOlink for the last two days for KPAHAVER17. Then things went bad this morning. Anyone know what "updated: NaN seconds ago" means? Oh well, seems like the issue is persisting with the new WU "ingestion" process.